Why Should I Hire a Colorado Personal Injury Lawyer? Is it optional to hire an attorney? What will they actually do? What if I don’t want to go to court? Personal injury lawyers in Colorado assist victims who have been injured in car accidents, slip and fall accidents, workplace accidents and other accidents, namely when another party’s negligence caused the accident. Many cases involving personal injury claims involve insurance claims. While it is not required to have a lawyer to file an insurance claim or to pursue compensation from the party responsible for your accident (see when do you NOT need an attorney? ), it is usually advised. The law is a series of complicated rules, procedures and processes that are confusing to most laypeople and even seasoned professionals. Source: When do I need a lawyer after an accident? Many personal injury lawyers offer free initial consultations in which they can explain whether you have a viable claim and in which they can assess your claim. Enjuris tip: We encourage you to reach out to the attorney who is listed here for Colorado. That’s why they are here – to answer your questions, help you assess your case, and then pursue the case with you if you wish! Functions of a personal injury lawyer – what do they actually do? A personal injury lawyer performs many important roles in the claims process. He or she can advise you on steps that you should take to help protect your claim, such as seeking medical attention for any injuries that you suffer, retaining originals of all medical records and medical bills and following doctor’s orders. 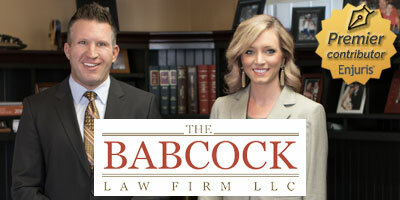 He or she may also advise you against taking certain actions, such as contacting the defendant’s insurance company directly or providing a recorded statement. Insurance adjusters are trained at trying to learn information from the victim that can ultimately be used against him or her. A recorded statement may later be used to try to question your credibility if there are contradictions in this recorded statement and later statements that you make. In addition to advising you of your rights and the claims process in general, the personal injury lawyer can take the lead role in handling the claim. He or she handle communications with the insurance company directly so that you do not have to. The primary role of a personal injury lawyer is to handle the legal aspects of your claim so that you can concentrate on recovering. The personal injury lawyer also submits a demand letter to the insurance company asking for payment for the damages that you have sustained. He or she handles negotiations with the insurance company in an attempt to settle the case outside of court. If the case is not settled, the personal injury lawyer can represent you in court, prepare discovery documents, prepare motions for court consideration and present a case in front of a judge or jury that outlines how the accident happened and how the defendant is responsible for the damages that you sustained. Enjuris tip: Wondering what you’ll be looking at if you decide to pursue an accident case in Colorado? See how long personal injury claims take in our overview of the stages of a personal injury lawsuit and our outline of the process for Colorado. Hiring a Colorado personal injury lawyer provides a number of benefits. A personal injury lawyer can explain your rights and take steps to protect them. They will know the legal technicalities such as filing a lawsuit before the Colorado statute of limitations expires in your case. He or she can objectively evaluate the value of your claim. When you receive a settlement offer, you may believe that the insurance company is providing a fair offer. However, a personal injury attorney is more experienced with handling accident claims and has a better idea of the value of your claim. You may not consider the long-term effects of the accident, such as the need for ongoing medical treatment, the effect a disability may have on your earning potential or the likelihood of suffering ongoing pain because of the accident. A skilled personal injury lawyer can ensure that all damages are taken into consideration and included in the monetary evaluation of your claim. Personal injury lawyers often have additional resources to help support a claim that a layperson will not. For example, they may have an investigative team that can help gather information about how the accident occurred and what the value of the claim is worth. Personal injury lawyers may be able to acquire evidence to support your claim. They may do this through the use of subpoenas and discovery requests, such as video of the accident that supports your version of events or evidence that shows that the defendant was aware of a dangerous condition before the accident and negligently failed to take steps to prevent foreseeable accidents. Personal injury lawyers may retain the services of experts who can help support your claim. An accident reconstruction expert may help piece together how the accident occurred if liability is at issue. An economic expert may be able to explain how injuries will have on your lifetime earning capacity. A personal injury lawyer has more experience in handling negotiations than most laypeople. He or she may be familiar with different negotiating strategies by insurance adjusters and companies that he or she has experience working with. Likewise, a personal injury lawyer often has more experience working with other lawyers and in the legal field. He or she is familiar with rules of procedure and evidence. This allows him or her to avoid making mistakes that can have a negative impact on the claim. A personal injury lawyer can also provide a realistic perspective on the case. Coming from an objective viewpoint, he or she may have greater clarity than a victim who is angry, bitter and frustrated because of the legal maneuvers and tactics used by the other side. He or she may recommend alternatives if it is believed that they may provide a better solution. This may include mediation in which the victim and defendant cooperate and work on reaching a settlement that they both agree to. Alternatively, arbitration may be used instead in order to provide a faster and potentially less expensive way to reach a resolution in the case. Due to the important roles that a Colorado personal injury lawyer plays, it is important to hire a lawyer in any major accident case.